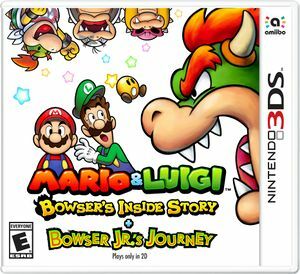 A few weeks back, we talked about a devastating bug that people were experiencing in Mario & Luigi Bowser’s Inside Story + Bowser Jr’s Journey. Activated by going backwards when playing as Luigi on his own in Dimble Wood, the glitch basically left Luigi stuck in a small area, breaking the same file and forcing the user to restart in the process. It was an annoying oversight, and one we couldn’t believe got through quality assurance in a game like this. Fortunately, the glitch is now no more. That’s because in a recent update for the game, Nintendo fixed the glitch altogether, and players can now explore said area without worrying about Luigi getting stuck or their save file being bricked altogether. It’s good news for Mario & Luigi fans, and it’s made better by how the fix is retroactive too. Yep, it’s not just new save files that are protected from the bug this time around. No, old ones have now been fixed too, meaning anyone who did accidentally activate the glitch is now free to continue playing the game without any more issues. Thanks Nintendo! Nice to see a quick response to a glitch like this, as well as one that doesn’t expect people to start their game over to make use of it.